Thinker, Seeker and Humble Explorer of the Material Reality. 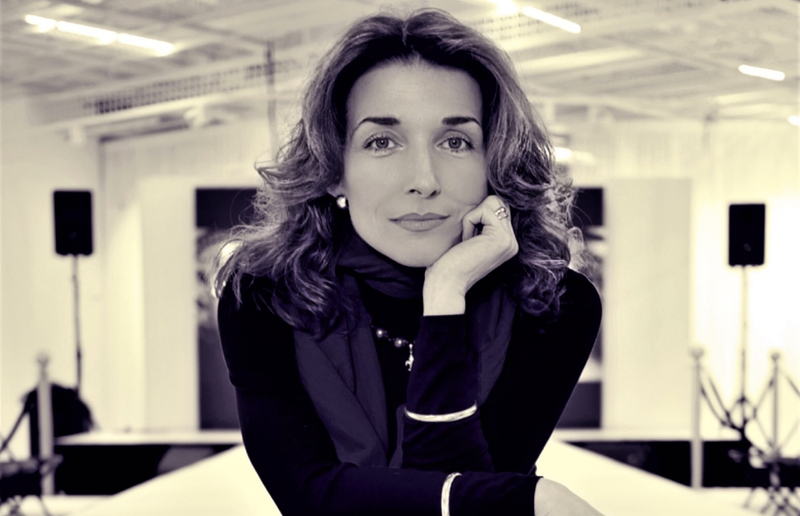 Gordana Biernat is a mentor and motivational speaker and has a creative mind. In addition, she is a Workshop Leader, Consultant, Advisor, Researcher, Writer. She holds M.A. in Art History and Art Sciences, Psychology, Cognitive Psychology, Communication and Media at Lund University in Sweden. Human Diaries had the privilege to interview Mrs. Biernat and get the inside scoop to pass on to our readers. Hi Gordana, Could you please tell our readers a little bit about yourself? The more I know who I truly am the harder it gets to verbally describe who I am. But, if I was to define one facet of who I think I am NOW at this very moment in time, it would be that I am a thinker, writer and a passionate being with a message that I hope will help raise awareness and consciousness in the world. I have always had this tremendous urge to ask esoteric questions about reality, time, consciousness, love, truth, thoughts…and for the last couple of years I’ve focused my life on answering those questions and sharing my “findings” with as many people as I can. My purpose is to help people realise how powerful and unique we all truly are. The way I see it, we are free spirits having a physical experience, creating and consuming our own reality as we expand in our consciousness. Physical reality – life – is a thrilling adventure to be explored to its fullest. We are here to follow our passions, to love and be loved and to transform “limitations” and obstacles into freedom and joy. If you want to better understand who I am and what my message is, visit @Mypowertalk on Twitter and enjoy my daily thoughts. What are you passionate about? Who or what inspires you? I love exploring life, asking questions about who we are and why we are here. The answers seems to play hide and seek with me giving me the pleasure of revealing truths in the smallest of everyday things. A drop of dew on a straw of grass can contain a universe if I allow myself the joy of seeing it. It’s all about giving the magic behind the “real” world time to reveal itself to me. My greatest inspirational sources on this adventurous quest of mine are without a doubt my son and my husband. My son’s ability to share unconditional love with all sentient beings inspires me to higher thought and puts me in direct communication with the pureness of my soul. Just being around him reconnects me to who I truly am. My husbands relaxed attitude to life and his focus on the joyous aspects of being, reminds me of why my soul has taken root in this physical reality. He inspires me to allow the pleasures of being alive in this space and time to come forth through me and he gives me the opportunity to share this with him. When around him, I always have the feeling that everything is possible. Since I do what I love and love what I do, “work” and “free time” are intriguingly entangled in my life, so it’s hard for me to make any distinctions between the two. My “work” actually feels like my “hobby” because it is about creative playing with ideas and exploring unknown but exciting territory. The desire to understand my own reality has occupied my being since I can remember and has thus always been an integral part of who I am. Writing about my findings and sharing it with others is the result of my way of living. But if I have to pinpoint a hobby then the closest to “hobby” I can come is “hubby” which is my husband. My definition of success has always been: Success is not a question of how much power or money you have acquired. It is a question of how satisfied you are with who you are. Being a co-creator of a joyous family. Being a conscious creator of my own life. Being a deliberate creator of opportunities to express myself through writing. I’m changing the world one thought at a time by reminding people who we truly are. One of the ways I have chosen to do this is by sharing my thoughts with more than 200 000 people on Twitter. Another is by working on a series of self-help books that I hope to get published soon. The message I am trying to convey is that the Universe is your partner in creation. We are not isolated bubbles of consciousness floating around in a cold, harsh universe. We are interacting in and co creating reality as we go. The universe will back you up in every thing you think say and do. Why not do good things? Overcoming a mindset of scarcity and fear conditioned by being born and raised with no rights, no control and no financial or intellectual power in an emotionally and culturally dysfunctional family, and turning that limitation into freedom by realising that I am a free thinking, free spirited being worthy of love and abundance. Which, by the way, with no exceptions, we all are. How do you use real life experiences to help people overcome their adversities? There is no standardised answer to this question and even if I try to give you one it comes out as platitudes. Everyone walks their own path in life. What works for me might not work for you. Understanding who you are, exploring your passions in life and focusing on your strengths while finding ways to express them will always point you in the right direction for YOU. Everything in your life is there for a good reason. Your job is to turn the perceived limitations into something you consider to be freedom by recognising your strength even in the darkest of hours and allowing that power through you. Change is often a silent inside job that requires patience and courage. Courage to be your self. This means doing it your way. It is all about remembering who you truly are, because in the end, being YOU is what you came here to do. I imagine public perception is not always accurate. What is it like to be a life coach? In my view of reality, we are multidimensional beings containing all the knowledge about ourselves within. All we have to do is remember who we are. I would not label myself as a coach of any kind because this indicates that I focus on guiding you in solving specific problems or details in your everyday life. What I do is provide a basis for a conscious conversation where my objective is to remind you of the infinite power within your own being, and to inspire you to trust your inner wisdom and use it with confidence in your everyday life. I cannot “teach” you anything new, but I can help you to recall the knowledge you already contain. The way I see it, this can only happen when you are willing to raise above the details and allow yourself to view your reality and your self from a higher perspective because that is where your truth, wisdom and knowledge about yourself resides. Everything is possible. Wishing implies that I have doubts about the outcome. “I’m making the world a nicer place one thought at a time” is much more powerful than saying “I wish the world would be a nicer place”. Do you have any funny stories you’d like to share? When my son was four years old he loved “to save the world” by playing to be Superman. My husband and I bought him a couple of Superman T-shirts, with the big S printed on the front which he loved and wore 24/7. He even slept in one. For two whole years. One morning when I was dressing him, all of the Superman T-shirts happened to be in the laundry. I tried very gently to persuade him to wear a red Paddington shirt instead. With a comforting smile I held the red shirt in front of me as I said; “Oh, look! It’s the same colour as Superman’s cape…“. He starred at me with wide open eyes and a face expression signalling – “What is wrong with you?“ – threw both his arms in the air and with desperation in his voice said; “So, you mean that I have to be just an ordinary man today?… the whole day?!”. Then he just stared at me with his X-ray vision until I simply caved in and I gave him one of the less stained Superman T-shirts to wear. Standing in our bedroom, I saw him transform into the happiest Superman ever. With a determined look on his face, he raised his right arm, and as I watched him run of to save the world through the hallway in to the kitchen, I realised that maybe I needed to buy my husband a Batman-suit and even get myself a Cat-woman-outfit. Because in the end, isn’t helping other people, supporting all kinds of freedom and enjoying ourselves, what we are here to do? I think we should all try being Superman or Wonder-woman once in a while. Just for the joy of it. Thank you for allowing my thoughts into your reality. Thank you Gordana for sharing. The power and feeling behind your words radiates a warmth that sooths the soul. I too, enjoy my work and it is part of who I am. I am blessed with both a fulfilling family and professional life. The challenge I find in this world is staying clear of negativity. Inspirational thoughts do help, and I do thank you for the reminder.